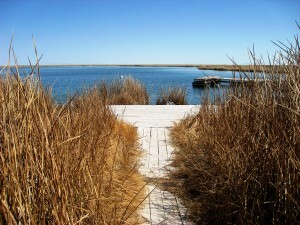 The boardwalk and docks at Blue Lake. UPDATE: Udy Hot Springs (also known as Belmont Hot Springs) has closed since this article was written. The property is privately owned and not currently open to the public. Although scuba diving and the second-driest state in the Union would seem a mismatch, there are numerous sites divers venture to around the state. Perhaps more surprisingly, given the chilly winters in northern Utah, scuba diving is possible year-round in this region of the state. One can ski in cold, fluffy powder snow and then scuba dive in warm, tropical water on the same day along the Wasatch Front. An abundance of geothermal springs in Utah is a result of the state’s active geologic history that has created deep faults and fractures in the bedrock, providing conduits to the surface for heated groundwater. Warm springs with large, deep pools—or artificial pools constructed from springs—make attractive sites for cold-weather diving. Four locales exist that have temperate waters, each different in character and all popular destinations for winter scuba diving, diving classes, and certification. 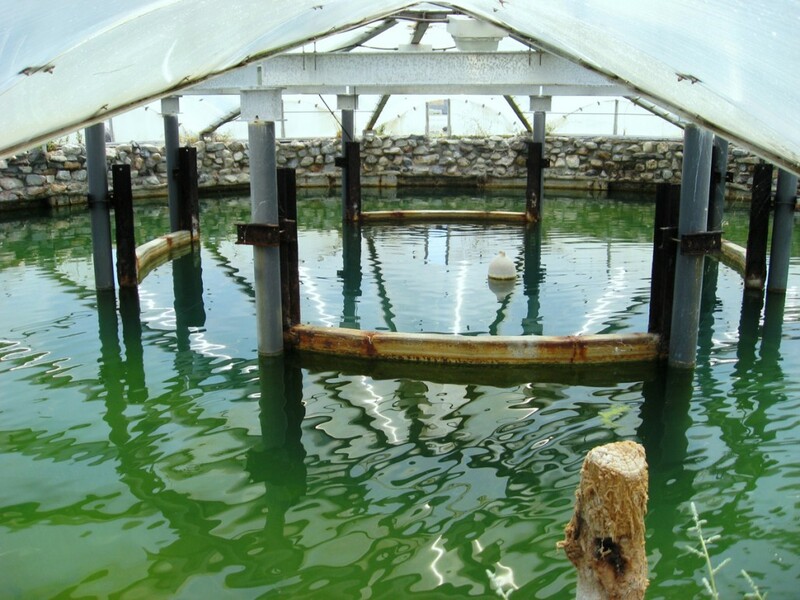 Bonneville Seabase in northwestern Tooele Valley is the closest thing to warm ocean water in the Intermountain West. Built on the Grantsville Warm Springs, Bonneville Seabase was designed and created by divers for diving. Three “bays,” two connected by an 8-foot tunnel, were excavated and filled with the warm, salty spring water that approximates the salinity of the sea. 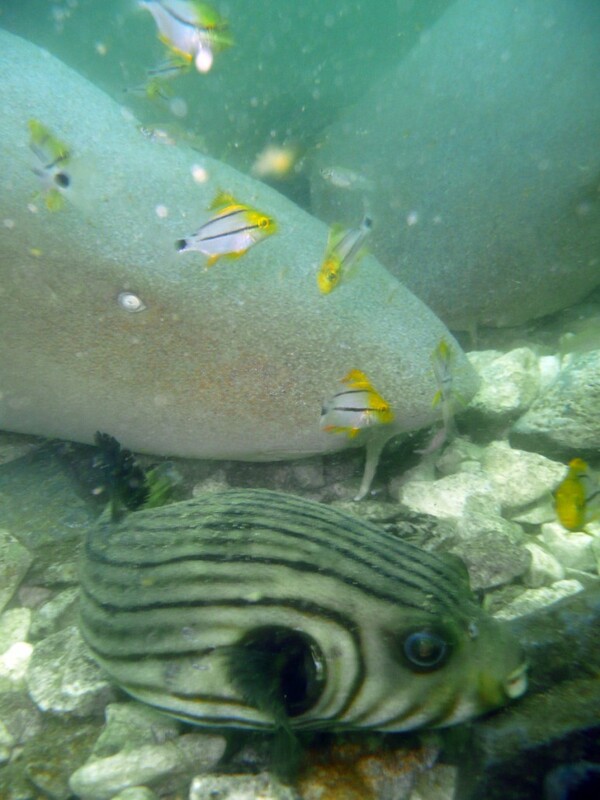 The bays are stocked with colorful marine tropical fish including crevalle jacks, puffers, clownfish, angelfish, a pompano, a sting ray, and bamboo and nurse sharks. Bonneville Seabase offers lots of diving amenities with the aim of training and certifying divers in a variety of environments. Services include compressors, air storage, equipment rentals, lodging and camping, concessions, a desalinization station that provides warm freshwater showers, and night dives. If you are not a diver or snorkeler you can enjoy fish feeding time or a “mollie pedicure,” where schools of tiny fish nibble on your feet and toes. Platforms, ladders, an air-filled underwater conversation area, a shipwreck, and other paraphernalia have been added to the bays. 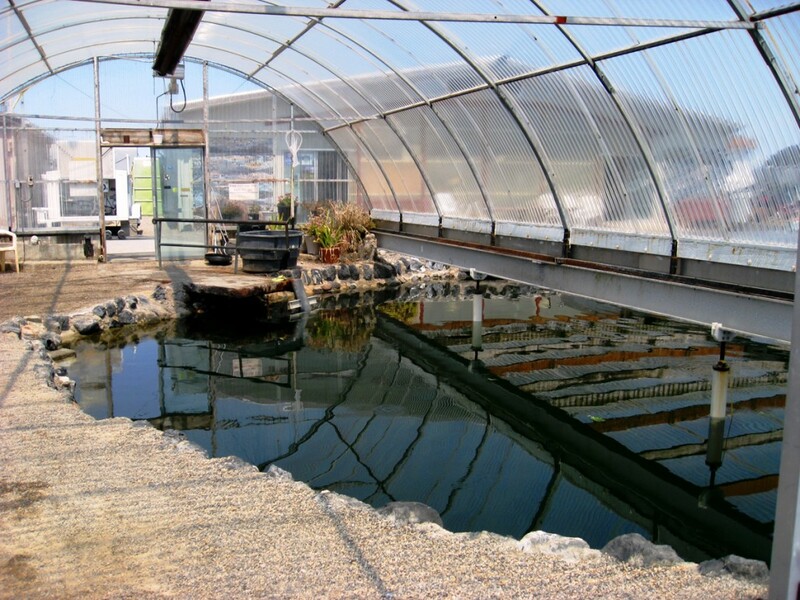 Greenhouse coverings over some of the water surface reduce heat loss in winter. 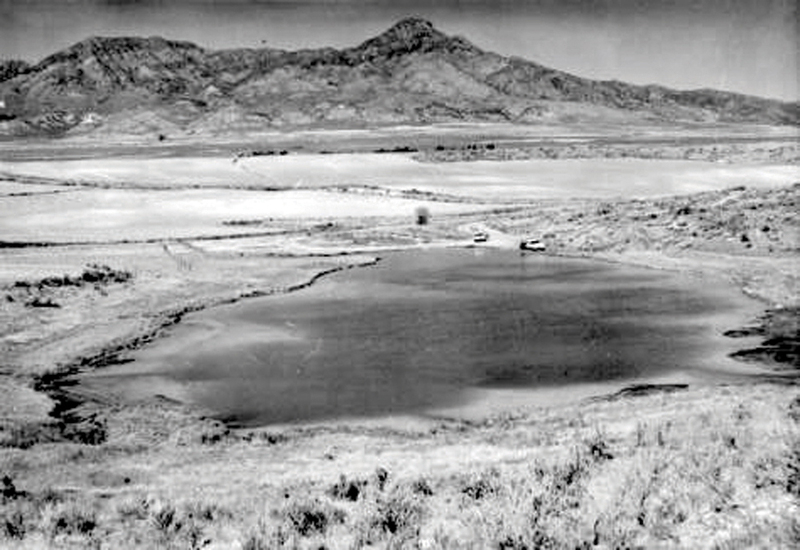 Blue Lake is within a 215-acre Wildlife Management Area comprised of several spring-fed ponds amongst wetlands at the far western edge of the Great Salt Lake Desert, south of Wendover in Tooele County. Blue Lake is the largest natural geothermal pool in the state, with a surface area of 9 acres. The ponds and wetlands host rich fish and bird faunas. 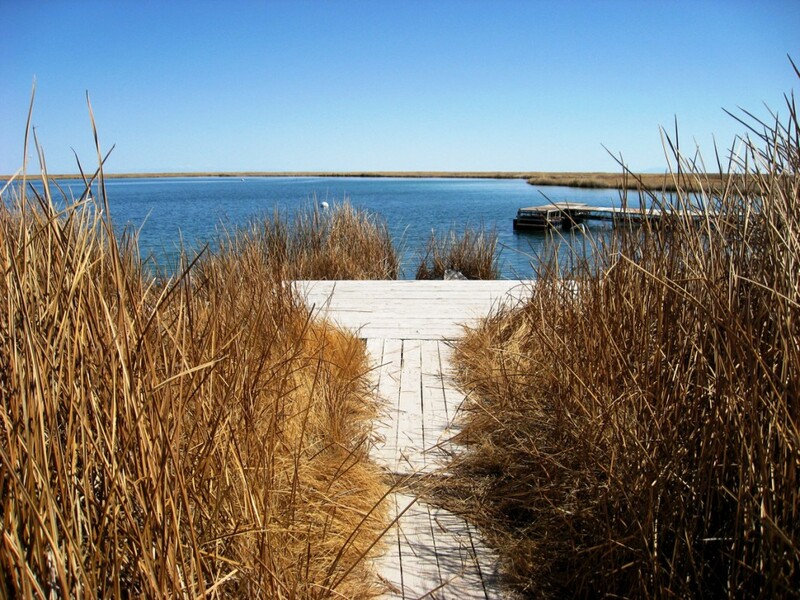 A boardwalk lets visitors access the lake during times when a shallow water table makes the lakeshore marshy, and docks and ladders have been constructed for entering and exiting the lake. Blue Lake’s floor is strewn with curious objects such as metal animal sculptures and a boat to explore. Late fall and early spring weekdays are the best times of the year to visit; the former has the best clarity of water and fewer bothersome insects. Blue Lake is the only warm-water diving destination in Utah where dogs are permitted—hunters regularly bring their retrievers. The last several miles of the road are unpaved and roughly wash-boarded, but passable for most vehicles in dry weather. The nearest services of any kind are in Wendover, about 25 miles away. On the western bank of the Malad River in Box Elder County, Udy Hot Springs (frequently spelled Uddy) is a cluster of some 50 hot springs and seeps with waters emerging as hot as 125˚F. Some of the springs create a pond and others small pools in the area. These waters were developed into Belmont Springs Park which later became Camperworld Hot Springs Resort. The geothermal pond is open for scuba diving from mid-September or early October to mid-May; in summer the pond becomes too hot for diving. The resort also has a hotspring-fed swimming pool and therapeutic hot tubs, a 9-hole golf course, and 300 acres of open space with walking trails and 70 acres with ATV trails. The Crater Mineral Dome at the Homestead Resort is in Heber Valley north of the town of Midway in Wasatch County. The Midway geothermal area has a number of individual hot springs that form “hot pots,” which are roundish, rough-rimmed basins of tufa rock (porous limestone) that has precipitated from the spring water. The Crater is the flagship of the Midway hot pots—a hollow tufa dome measuring some 55 feet high and 300 feet in diameter with a circular opening at the summit that allows sunlight to flood into the void and pool below. In 1996, a 110-foot tunnel was dug into the hot pot wall, permitting horizontal access to the warm pool. Docks, platforms, changing rooms, and lighting have been installed to allow for convenient diving and soaking. 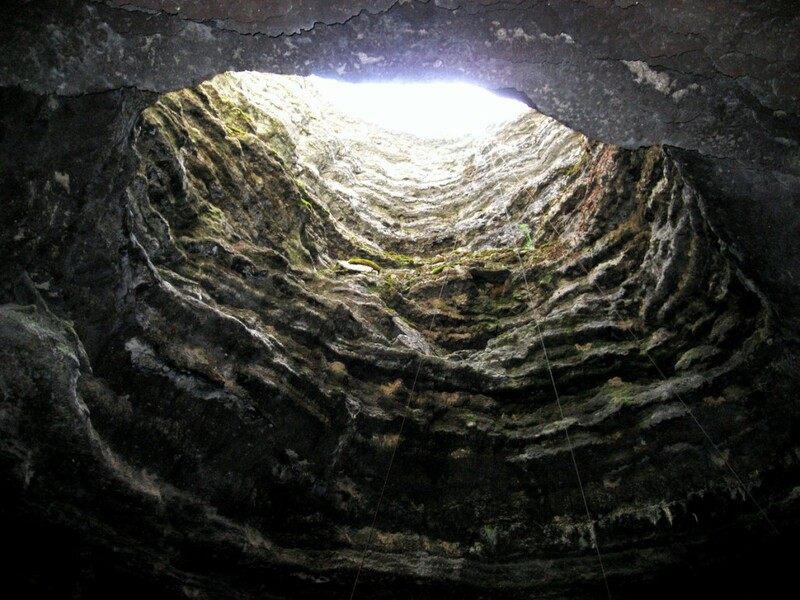 Outside the dome, a staircase leads to the summit of The Crater where one can look down into the hot pot through the natural skylight. 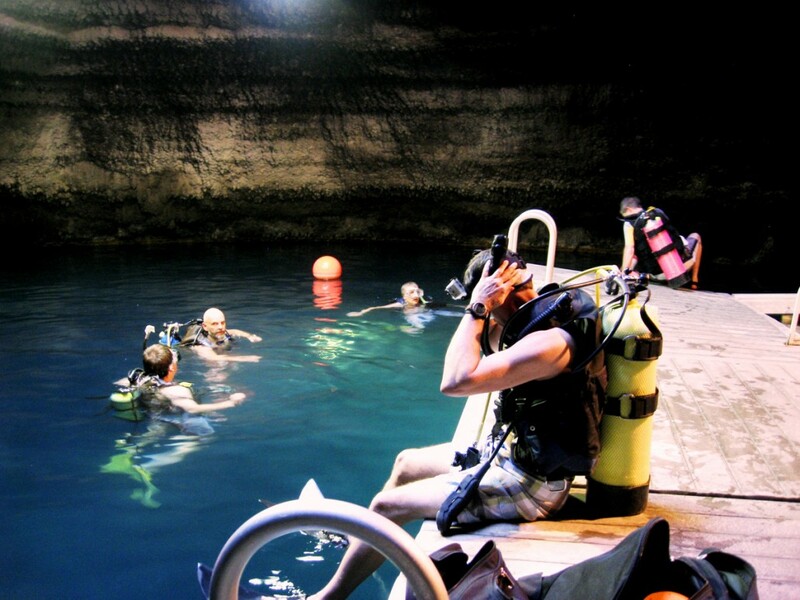 Whether you are an experienced diver or just interested in trying it, you don’t have to leave the state of Utah for tropical diving. Or if you are a warm spring enthusiast, these springs are well worth a visit.